John Lewis’s Christmas advert, Monty’s Christmas, is helping one of its official charity partners WWF raise awareness and deliver much needed support to protect the Antarctic home of real life “Monty and Mabel” Adélie Penguins at the South Pole. 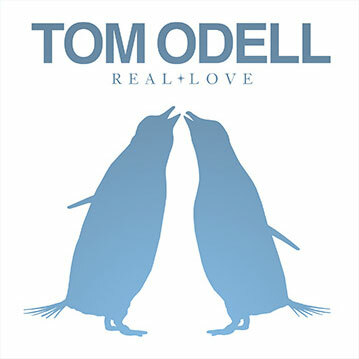 All profits from the CD sales of John Lewis’s Christmas advert single, Real Love by Tom Odell, are going to WWF’s Adopt a Penguin Programme. The Antarctic is undergoing rapid change as the region is affected by climate change. However, this change is not uniform across Antarctica. Adélie penguin numbers are decreasing in the Antarctic Peninsula region, where climate warming is established and sea ice is in decline. In contrast the Ross Sea region is showing increased sea ice and penguin populations. The threat of unsustainable fishing in the region could further impact upon the food supply on which the penguins depend. Adélie penguins are classified as Near Threatened on the IUCN Red List and it is predicted that over the next three generations numbers of Adélie penguins could decline by about 30%, as Antarctica continues to warm. WWF is supporting scientific research that will help protect Adélie penguins and understand the changes that are occurring to their habitat. The conservation charity is working to help create Marine Protected Areas (MPAs) around Antarctica which will protect the feeding grounds of penguins, seals and whales and conserve e one of the world’s last great wildernesses. “Through the support of John Lewis and our amazing penguin adopters, WWF can help protect the icy home of Monty and Mabel. 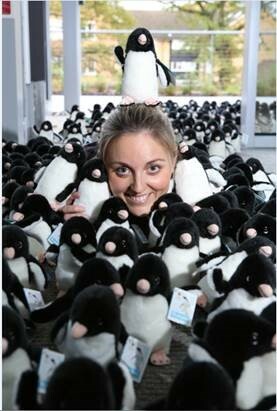 “Since the official partnership launch last Thursday WWF have released 341 cuddly toy penguin adoptions into the wilds of the UK, a huge increase from this time last year. Adélie penguins are ‘true Antarctic penguins’ who never leave the Antarctic pack ice and coast. They are named after the wife of Jules Dumont D’Urville, a French Antarctic explorer. They have distinctive black and white coats, making them look like they are permanently in evening dress. They weigh just over 5 kilos and grow to about 70 cm high. During the summer they breed in tightly packed, noisy and smelly colonies of many thousands around the Antarctic coastline. Adélie courtship involves a lot of flipper waving, loud calling and a bit of Adélie dancing. They usually lay 2 eggs in mid –November which hatch around the Christmas holidays. The feed mainly on krill, a shrimp-like crustacean, and can dive up to 180 metres. They are penguins with attitude. When I worked in Antarctica, I was attacked by them waving their flippers at me.